Projection running the length of the thallus or fronds of certain algae. Small gas-filled bladder containing nitrogen and oxygen; it is located in the thallus of some algae and provides buoyancy. Alga’s main structure, with undifferentiated stem and leaves. 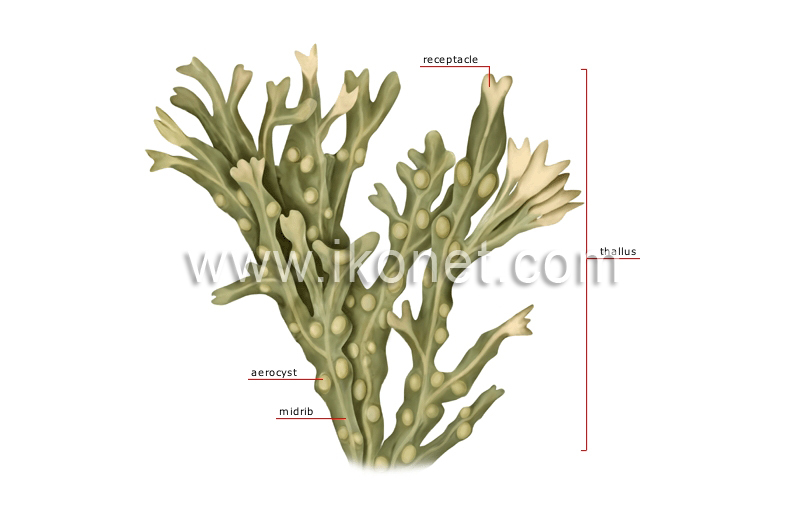 Enlarged part, generally located at the tip of a frond, holding the alga’s reproductive organs.